Daniel Ricciardo: Funny how Formula 1 works out. From two minutes away from not being able to take part in qualifying after his engine went pop, to winning the Chinese Grand Prix in emphatic style with a late surge after the Safety Car. After four DNFs in his last six races, we have not been able to see Ricciardo at his very best – but in the race it was a completely different story. The Aussie is an absolute master at overtaking and his attack on those ahead was a joy to watch. His move from a mile back on Hamilton at the chicane was the pick of the bunch and the victory was just reward for a pit crew that put together a new engine in record time and double stacked the Red Bulls in the pits on two occasions. Valtteri Bottas: It was another pretty impressive showing from Bottas this weekend, following up on a marked improvement in Bahrain. He got the jump on his fellow Finn once again from the start and kept Vettel in close quarters heading into the pit stops. Mercedes reacted to Red Bull, but Ferrari didn’t react whatsoever and a fantastic out-lap from Bottas allowed him to make the undercut and take the race lead. And although the timing of the Safety Car ultimately proved to be his downfall, he did make a smart getaway from Vettel to keep the lead for just that little bit longer. Kimi Raikkonen: On provisional pole for second straight race weekend, Raikkonen left the door oh so very slightly ajar for Vettel to steal top spot from him. Had he matched his final sector time from his first Q3 run, Raikkonen would have done enough to clinch his first pole since Monaco last year. Alas, the wait continues. Starting alongside Vettel on the front row, Raikkonen was squeezed out by his team-mate and lost out to Bottas and Verstappen this time as a result. He is the only driver since 2016 yet to gain a place in position on the opening lap of a race. But it was Ferrari’s poor strategic calls that saw Raikkonen then play the infuriating role of sacrificial lamb and try and hold up Bottas. He simply deserves better than that. Lewis Hamilton: After topping the first two practice sessions, Hamilton looked to be getting in the usual comfort zone at a track that has proven a very happy hunting ground for him in the past. But the cracks appeared with various spins in the lead up to qualifying, where he was simply unable to get anywhere near his best on the ultrasoft tyres. We are so used to seeing him light up the timing screens on his final Q3 run, not skulking down the pit lane after failing to produce a clean lap when it mattered the most. From the second row and behind Bottas again, it was another cautious start from Hamilton and it was not long before he was on team radio reporting a lack of pace. But his big opportunity to get himself back into some sort of contention was not taken by Mercedes and, by not pitting under the Safety Car, he left himself vulnerable to the two Red Bulls and Raikkonen behind. Like Bahrain, there was another incident with Verstappen (much more on him later) and with the Dutchman’s timed penalty for the Sebastian Vettel collision, it gave the Brit a small crumb of comfort of being able to re-take P4 and narrow the gap slightly from 17 points to 9 at the top of the World Championship standings. Max Verstappen: Max, Max, Max. You are really going to have reign it in just a little bit. 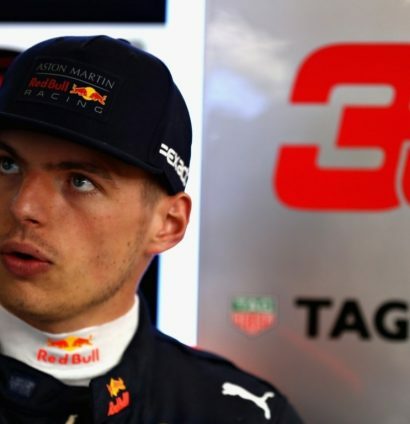 After a fantastic start from P5 to P3 on the opening lap and the Safety Car playing right into hands as well, Verstappen could have well found himself on the podium alongside his team-mate Ricciardo. Nico Hulkenberg: The Hulk is fast becoming a model of consistency after he qualified P7 for a sixth consecutive race and once again out-qualified his team-mate Carlos Sainz. Fernando Alonso: Given McLaren’s lack of competitiveness in qualifying, Alonso is continuing to make up for it in the race. He initially made up two places at the very start but had a hard time getting past Romain Grosjean, which left him prone to the undercut from those around him. Sebastian Vettel: Following a stunning performance in Bahrain, Vettel’s quality initially started to shine through in qualifying once again as he held his nerve to beat a very game Kimi Raikkonen to pole position. 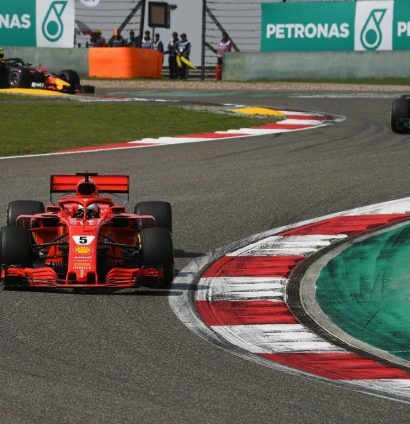 His 1:31.095 was an incredible lap under immense pressure and, given that nine of the previous 14 pole sitters have gone on to win the Chinese Grand Prix, set up a very strong platform to deliver a third consecutive win of the season. After a great start, Vettel looked well in control to deliver it – but it started to go very wrong, very quickly. 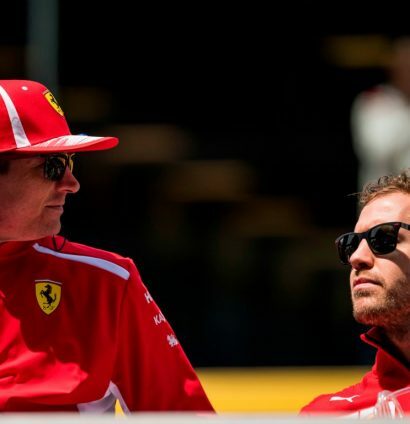 Ferrari were caught snoozing on strategy, leaving Vettel vulnerable to the undercut from Bottas. He was able to keep the Finn in close quarters, but Vettel would also be one of the drivers who was vulnerable under the Safety Car to those able to switch to fresher tyres. Carlos Sainz: The Spaniard still does not have an answer to Hulkenberg’s superior pace in qualifying and that has to be a concern to see the battle so one-sided so far this season. strong>Kevin Magnussen: A bad out-lap prevented him from challenging for a Q3 spot in China, but a P11 start meant he was the first driver to have the luxury of free tyre choice to start the race with. Sergio Perez: There were signs that Force India are starting to play catch-up with their midfield rivals and Perez was initially able to show that by getting in front of a Renault and a Haas in his first Q3 session of the season. Stoffel Vandoorne: A quiet race for the Belgian, who failed to collect points for the first time this season. He was another driver to get off to a poor start and big vibrations from the car toward the end mean he was left languishing in P13. Lance Stroll: You know just how far Williams has fallen when you consider a P14 finish for Stroll to be a pretty good job. The Canadian made up six laps on the very first lap to put a dismal qualifying behind him and claimed a pretty respectable finish all things considered. Romain Grosjean: The Frenchman has been lurking in Kevin Magnussen’s shadow in the early stages of this campaign, but did well to overcome brake-by-wire issues in FP3 and pinch P10 just ahead of his team-mate. Pierre Gasly: From the highs of Bahrain, the Frenchman came crashing down with a rather large thud after being eliminated in Q1 with a Torro Rosso-Honda car which he admitted had “lost all of its strength”.